Plinky asks about my dreams. I had weird dreams on Saturday night. Very weird dreams, and lots of them. The one that really got to me was the one where the murdered girl appeared on my doorstep. There was a young woman who went missing last week the city down the highway from me. The story made national news so you might already know about it. She left to go to work, a five minute drive from her home, at 6:45 am but didn’t make it. The police thought that her vehicle (which they found later) might have been in my town. It turns out that it was in my town, at a local park. It was also at other places I have been to many times. On Friday evening they found her body at Larch Mountain, one of my favorite places to photograph. In my dream there was an older man who had a GPS device with him that could track her whereabouts. He told me she was alive and was on her way to my house. I started to panic and tried to go upstairs to get my husband so I wouldn’t be so afraid but I didn’t have time, the older mad said, because she was at the door “right now.” I told the older man to stay with me because I was afraid to be alone with her. I opened the door and there she was, but she looked beautiful (not like a corpse, like a living being.) She didn’t say anything but I could sense that she was sad. I said, “I thought you were dead.” She didn’t respond. I went out the door, which lead to a garage. In the garage was a car, the one she was driving. In the passenger’s seat was a man, the man that kidnapped and murdered her. Only he was dead. She killed him. His arm was all carved up. Then I woke up. What was it about? That is a good question. I think that this dream is the culmination of the unconscious, and conscious, anxiety for me that stems from this story. It is terrible and I am so heartbroken for her husband and parents. The fact that it was so close to home and that I have been to these places really got to me, in ways I probably don’t even understand. Being a woman, I am fearful of something like this happening to me (I think every woman is on some level). So that is what it was about. Anxiety. Pure anxiety. The world can be a scary place sometimes. Plinky asks, “What have you been reading lately?” Funny you should ask, Plinky! Because I am currently in a dystopian novel reading frenzy right now. I am doing a presentation on the genre next week and there are a couple of novels I would like to finish up before the presentation. 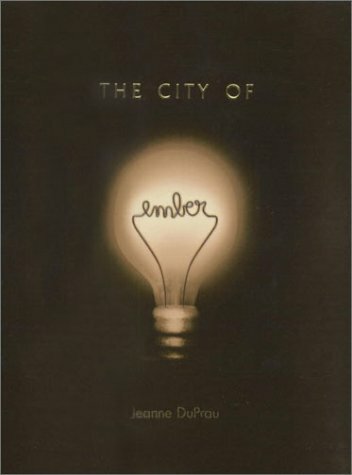 Today I will finish “The City Of Ember.” This is a kid’s book about a world in which the entire city has been underground for more than 200 years. Instead of being lit by the sun it is lit by light-bulbs, hence the title. The problem is that supplies are running low and fear is spreading among the citizens. The protagonists of the story search for a way to save themselves and their town. I am really enjoying the story! I find it very well written for this age level. It seems hard to find well-written stories for this age, but this does well. The characters are well drawn and the plot is solid. It is an older book, published in 2003. In fact it was the first Kindle book I purchased when I first downloaded the app for my iPod in 2008! I can’t believe I haven’t read it until now. But I glad I am. I am enjoying it very much. When I finish this I will continue reading Delirium by Lauren Oliver. I am not far into the book yet but the plot grabbed me right away. It is about a world in which it has been determined that love is a sickness and when one turns 18 they have an operation that cures them of it. Next week I will post the list of books that I am presenting. We are reading Hunger Games for our city-wide read and I offered to give a book talk on other Y.A. books in the dystopian genre. I have read a ton of these books. They have always been my favorite. Yes, I do remember the days before I got the internet at home. I am actually THAT old! I got the internet in my home when I was thirty. Before that I had to access it at school. Before Internet I spent a lot of time with friends. I went out for coffee, I went out dancing, I went to shows. I was a very social person. I always liked to have something lined up almost every night of the week. This was before I met Raf. But even then, when we were dating we would go out every night. 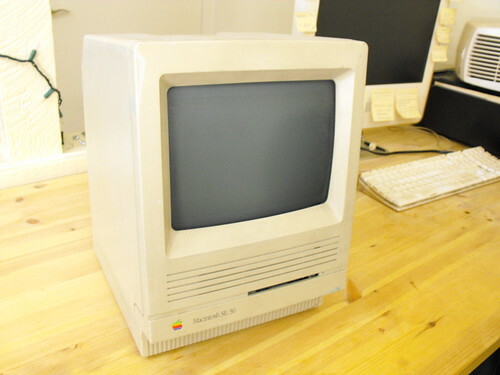 When I wasn't going out I watched television or read or played computer games on my Mac SE. The thing that I notice about my life now is that I am much lazier about my social interactions. It is super easy to interact with other humans online so that is what I do. I think this has become commonplace. It's sad, frankly. I miss the in-person socializing that I used to do. Online socializing has caused us to create facades that are hard to read. When you meet someone in person you see the real person. I miss that. 12. and lots, lots more.